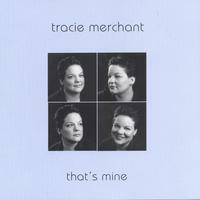 Tracie has found a receptive audience with her powerful, rich vocals. This songwriter's soulful and passionate voice will capture your senses immediately. "Tracie has one of those rare and distinctive voices that makes people stop...and pay attention"
This CD was great and made me think about myself. Soul searching feelings were obviously portrayed in the songs. Especially like Prodigal Daughter. the sound is very refreshing. Love the lyrics.....the entire aura of the album is hypnotic. i am extremely excited about the two minute samples that replay continuously. I can't wait till I actually receive my full lenghth CD in the mail. It's music like this that makes you remember that the art form has not been completely tainted by big corporations and the general media.